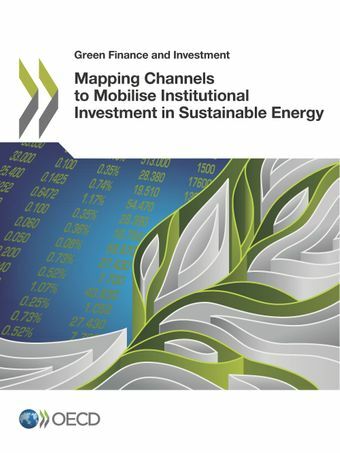 What are the channels for investment in sustainable energy infrastructure by institutional investors (e.g. pension funds, insurance companies and sovereign wealth funds) and what factors influence investment decisions? What key policy levers and risk mitigants can governments use to facilitate these types of investments? What emerging channels (such as green bonds, YieldCos and direct project investment) hold significant promise for scaling up institutional investment?This report develops a framework that classifies investments according to different types of financing instruments and investment funds, and highlights the risk mitigants and transaction enablers that intermediaries (such as public green investment banks and other public financial institutions) can use to mobilise institutionally held capital. This framework can also be used to identify where investments are or are not flowing, and focus attention on how governments can support the development of potentially promising investment channels and consider policy interventionsthat can make institutional investment in sustainable energy infrastructure more likely. For more information, please contact Robert Youngman and Christopher Kaminker, OECD Environment Directorate.